If you popped by The Buddha’s teachings in practice, you already know that I find the temptation to keep buying books on a disciplines like writing or yoga or meditation all too often gets in the way of actually doing yoga or meditating or writing. With that in mind, here are a few writing guides that really helped me take the first steps toward writing my novels. Goldberg, Natalie. Writing Down the Bones.I picked this book up years ago because the writer was a Zen practitioner and thought her advice would resonate with my Buddhist leanings. It did. “Stay present with whatever comes up, and keep your hand moving.” Pick it up and start anywhere. Great for writing prompts, or for encouragement, or for exercises that free up a log-jammed creative flow. One of the best things I got out of it was this sentence: “I am free to write the worst junk in the world.” That’s what it took to get me started. Burroway, Janet. 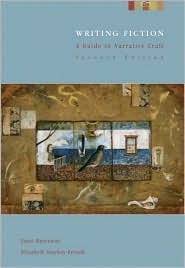 Writing Fiction: A Guide to Narrative Craft. This book that taught me what filtering was, how it distances the reader from the character, and how to fix it. Burroway covers structure, characterization, world-building, point of view, and more and uses great short stories or novel excerpts as examples. I have the 5th Edition; in it she uses a stunning Joyce Carol Oates story, “Where Are You Going, Where Have You Been?” to illustrate showing vs. telling. I hope Burroway includes it in the current 7th edition. Couldn’t get it out of my mind for days. Gardner, John. 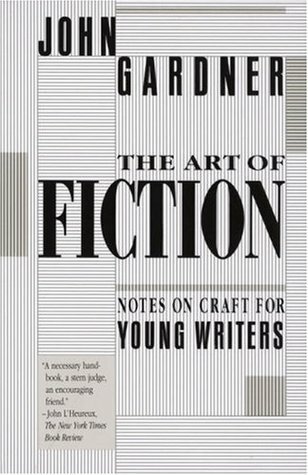 The Art of Fiction: Notes on Craft for Young Writers. 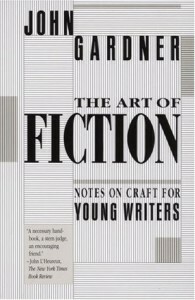 Basically, Gardner says fiction is for the reader a vivid and continuous dream, and the writer shouldn’t distract the reader from that dream. This book is his advice on how to do that. Finally, I once heard an agent say that all writers should have Strunk and White’s Elements of Style tattooed on their arm for quick reference. Seems a bit extreme, but the point is, no one can hope to write well without knowing–no, without mastering the rules of grammar, syntax, punctuation, and prose structure. There’s no excuse for making grammatical errors when there are so many good resources on line (Grammarly is only one of many, and it’s free for god’s sake). A couple of print sources I like are A Writer’s Reference, by Diana Hacker, and The Little, Brown Handbook.